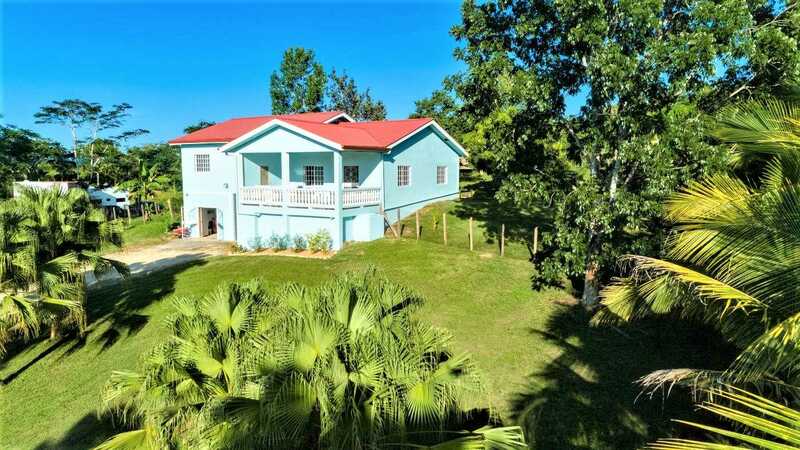 CY89: Home with Guest Cabin on 1.66 Acres Bullett Tree Falls, Cayo Cayo home for sale! Cayo real estate! Home for sale in Bullett Tree! Retirement Property in Cayo District! Cayo home for sale! Cayo real estate! Home for sale in Bullett Tree! Retirement Property in Cayo District! An opportunity to buy a great home nestled in a popular destination for ex-pats in the Cayo District in the Bullett Tree Area. The home is nestled a few hundred feet off the main Bullett Tree road but easily accessible to Bullett Tree and only 1.5 miles from San Ignacio Town! This residence and rental cabin is located in the heart of the Eco-tourism destination. The residence is hummock overlooking the surrounding countryside, amidst a variety of fruit trees and tropical ornamentals, this meticulously maintained property has a location second to none offering a rural ambience with civilization just being a few minutes’ drive to the heart of San Ignacio Town and beyond! The home boasts a 2600 square feet complete with garage, cistern, and workshop on the entire lower level of the home. The layout of the home was tastefully laid out with a spacious dining and living area leading to the veranda featuring scenic views and breath-taking sunsets. Accented with custom wood finishing, subtle artistic expressions, and architectural features throughout, this home offers an exceptional living standard blending contemporary interior spaces with tropical outdoor spaces. A spacious master suite is positioned with views over the property and the countryside and is complete with spacious closet, en-suite bathroom, and personal sitting area. Additionally, the home is fitted with a guest bedroom and bath, an office that can easily be converted into a third bedroom and dedicated laundry room with large storage. There is a completely independent rental unit with an active website and dedicated company adds great value to an already special property. Located in a quiet neighbourhood with shopping and entertainment merely steps away, this exquisite home epitomizes rural tropical living. Book an appointment to see the great potential in this home!